There is more to big data than Hadoop, but the trend is hard to imagine without it. Its distributed file system (HDFS) is helping businesses to store unstructured data in vast volumes at speed, on commodity hardware at previously unimaginable costs. But there are downsides. The MapReduce programming model that accesses and analyses data in HDFS can be difficult to learn and is designed for batch processing. This is fine if applications can wait for answers to analytical questions, but if time is important, MapReduce can hold them back. Matt Aslett, research director for data platforms and analytics at 451 Research, says Hadoop has opened up opportunities for organisations to store and process data that had previously been ignored, but applications such as fraud detection, online advertising analytics and e-commerce recommendation engines need a more rapid turnaround from data to conclusion. “Batch processing is OK, but if it takes an hour or two, it’s not great for these applications,” he says. The technology that promises to overcome some of these problems is Spark, the open-source cluster computing framework from the Apache Software Foundation. “With Spark and in-memory processing, you can get the response down to seconds, allowing real-time, responsive applications,” says Aslett. Spark was born out of a research project at the University of California Berkeley’s AMPLab. In 2009, then PhD student Matei Zaharia developed the code that went open source in 2010. In 2013, the project was donated to the Apache Software Foundation and switched its licence to Apache 2.0. In 2013, AMPLab recorded Spark running 100 times faster than MapReduce on certain applications. In February 2014, Spark became an Apache top-level project. Nicole Laskowski on how data scientists look to Apache Spark to ask the really big data questions and get answers faster. Spark was developed as part of the Berkeley Data Analytics Stack, enabled by the Yarn resource manager accessing HDFS data. It can also be used on file systems apart from HDFS. But there is cause for corporate users to be cautious of Spark, steeped as it is in open source. Chris Brown, big data lead at high-performance computing consultants OCF, says: “Big data is still a new concept and we’ve never come across a customer that asked us to do anything with Spark. Nonetheless, Spark is finding a home alongside proprietary software. Postcodeanywhere, a provider of address data to popular e-commerce and retail websites, has been using Spark internally for more than a year to help understand and predict customer behaviour on its platform, enabling the company to improve service. Spark’s speed and flexibility make it ideal for rapid, iterative processes such as machine learning, which Postcodeanywhere has been able to exploit (see panel below). Chief technology officer Jamie Turner says Postcodeanywhere’s main services are built on a Microsoft .Net framework, and incorporating open-source code took a while to get used to. “This is our first foray into anything open source,” he says. “You tend to see quite a lot of volatility in code base. You see bugs coming in and then disappearing between different distributions. Postcodeanywhere is now developing its internal use of Spark’s machine-learning capability as a service for clients wanting to better understand and predict customer behaviour. Although the performance benefits of Spark in-memory are not disputed, not all applications run 100 times faster. OCF uploaded the Hermann Hesse novel Siddartha on both HDFS and Spark in-memory to compare the time to count the words in the 700MB file. Hadoop was able to complete the task in 686 seconds; Spark could do it in 53 seconds, or 13 times faster. But Spark does not only offer performance benefits in-memory. Disk-based analysis is also improved dramatically. In autumn 2014, Databricks, founded by Spark’s initial developers, broke the world record in sorting 100TB of data on disk. Spark used 206 Amazon Elastic Compute Cloud machines to complete the task in 23 minutes. The previous 72-minute record was set by Hadoop MapReduce using 2,100 machines. Spark was three times faster using one-tenth of the machines. This has implications for the way data scientists work in business. Spark not only enables applications to perform analytics in-memory at a faster rate, it can transform the productivity of data scientists querying data and building algorithms from disk-based data. 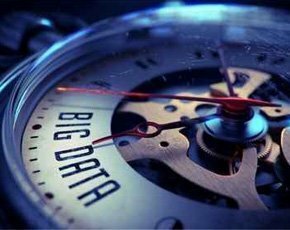 Zubin Dowlaty, vice-president, head of innovation and development at big data consultancy Mu Sigma, says that although IT departments can use Spark and HDFS to work on new data sets with new programming tools, the hardest thing to change is the mindset. Underpinning in-memory analytics and machine learning while boosting the productivity of data science, Spark promises low-cost assistance for IT departments grappling with big data problems. The question is: will they be able to help their business peers understand the value of these new applications and approaches to data science? Address validation service Postcodeanywhere knows it could have a problem at the heart of its business model. Essentially, the service uses freely available data to help e-commerce websites identify customers’ locations and help to auto-complete address forms. Founded 15 years ago, Postcodeanywhere is still trying new ideas to improve its service. One of them is to predict when customers will have a service issues, and to take pre-emptive action. Developed in-house, the system is written in Scala, a Java-like language, and exploits Spark machine learning using NoSQL database Cassandra and Elasticsearch queries, all running in Windows. The front end is written in C# on Microsoft’s .Net framework. By capturing that data, you can start to find out what is significant without making an early determination based on what your thoughts are. Postcodeanywhere tries to capture as much information as possible about customers and their experience using the service. This includes account information, usage variations, errors, support cases augmented with other data such as IP addresses, indicating locations, as well as the mobile network carrier, network connection and customer operating systems. By constantly analysing this data, the machine-learning model figures out which factors, in combination, could signal a negative experience. “By capturing that data, you can start to find out what is significant without making an early determination based on what your thoughts are,” says Turner. Building these models to predict when a customer likely to have a bad experience allows Postcodeanywhere to take steps to improve the situation. This could mean presenting a customer with new content, placing a new product on a particular page, reducing pricing, or a proactive service call to the customer. Postcodeanywhere is developing the system as a commercial product, called Triggar, designed to help companies better understand and predict their customer experiences. This could assist with defensive action, as it is currently used, and even pin-point opportune moments for upselling. The system runs on racks of commodity Dell hardware and currently works through a terabyte of data every few days.